Kevin Kelly is an authority on barbecue. He authors Kevin’s BBQ Joints, a website and blog with hundreds if not thousands of barbecue restaurant reviews. To further establish his bona fides, he moved from his home on the West Coast to Central Texas where he served a stint as John Mueller’s right hand man at JMueller BBQ. The man lives and breathes smoked meat. 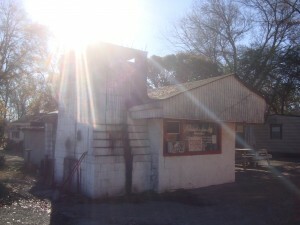 He recently reached out to me to see if I would pen a list of my favorite barbecue restaurants. I grew up eating barbecue in Kentucky where the word is synonymous with mutton. Using Kentucky as a home base I ranged across the Carolinas, Georgia, Tennessee and Alabama as a teenager to determine where the best barbecue was. Once I found the central Alabama pork belt I began saving my money so I could move to Birmingham where I would have better access to the region’s smoked meat. Birmingham is an incredible city filled with hundreds of great restaurants. There is a large diaspora of Greek, Italian and Lebanese immigrants in the area and they dominate the city’s culinary scene. Of course there are plenty African American running soul food and barbecue restaurants as well. If you require a vast melting pot of cuisine to fuel a vacation you should book a trip to Birmingham. It’s criminally underrated. Here’s a hot link to my article on the best barbecue I’ve ever eaten. Texas, Croatia, The Netherlands, Turkey and Alabama are all represented. This entry was posted in Texas Barbecue and tagged alabama, barbecue, BBQ, croatia, Istanbul, john mueller, kevin kelly, kevin's bbq joints, rl reeves jr, texas, the netherlands, top ten barbecue, Turkey, zagreb. Bookmark the permalink.